An echocardiogram may be performed in order for a doctor to learn more information about the condition of a patient's heart. 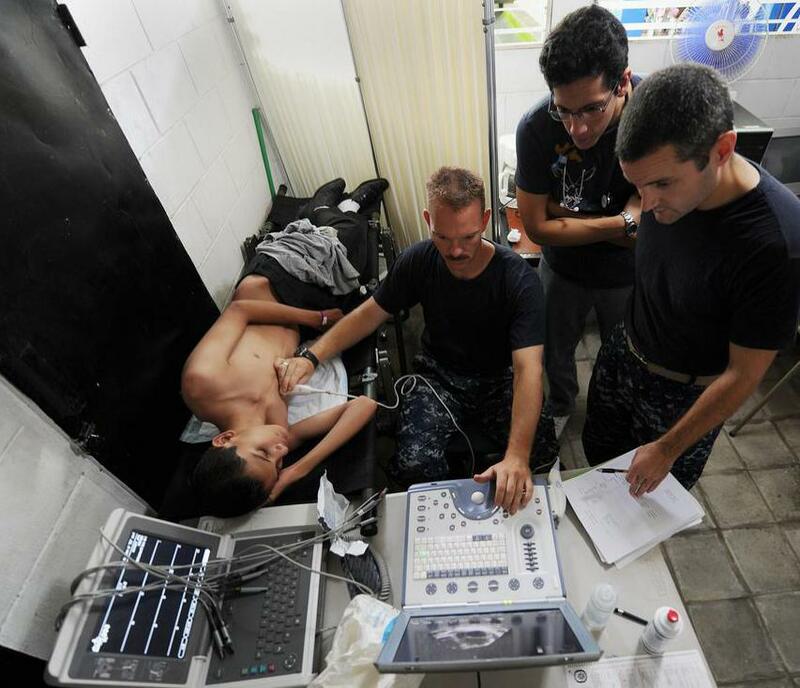 In some cases, doctors will be able to discuss the results of a 2D echocardiogram with a patient immediately. 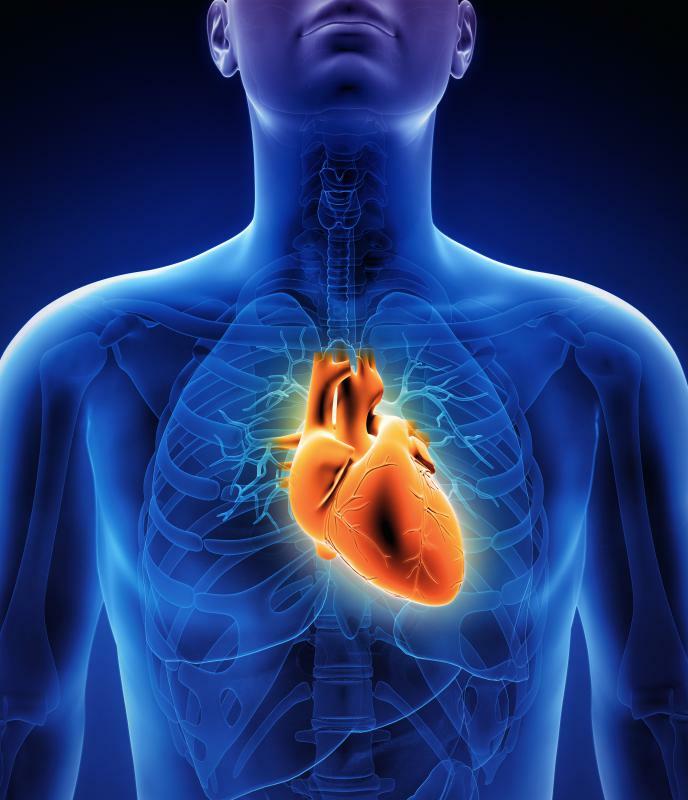 Certain heart conditions can be detected with an ultrasound. 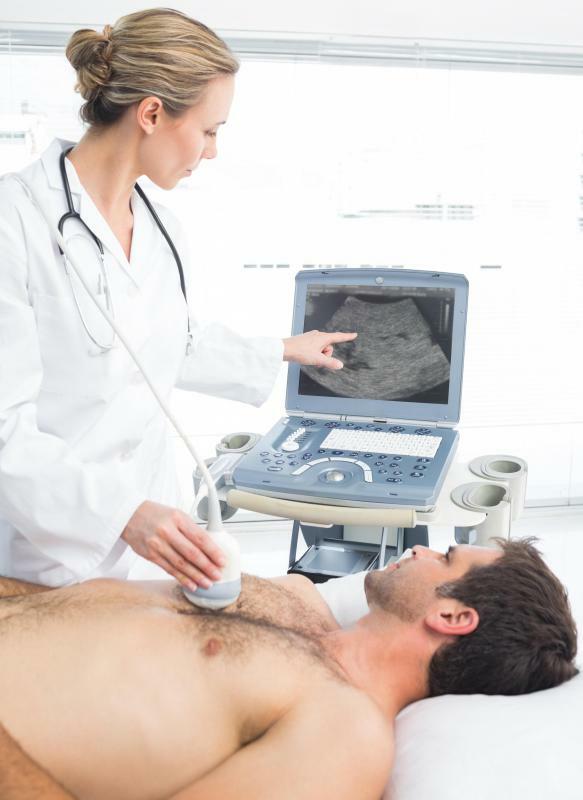 A 2D echocardiogram provides a picture of the heart using ultrasound waves. 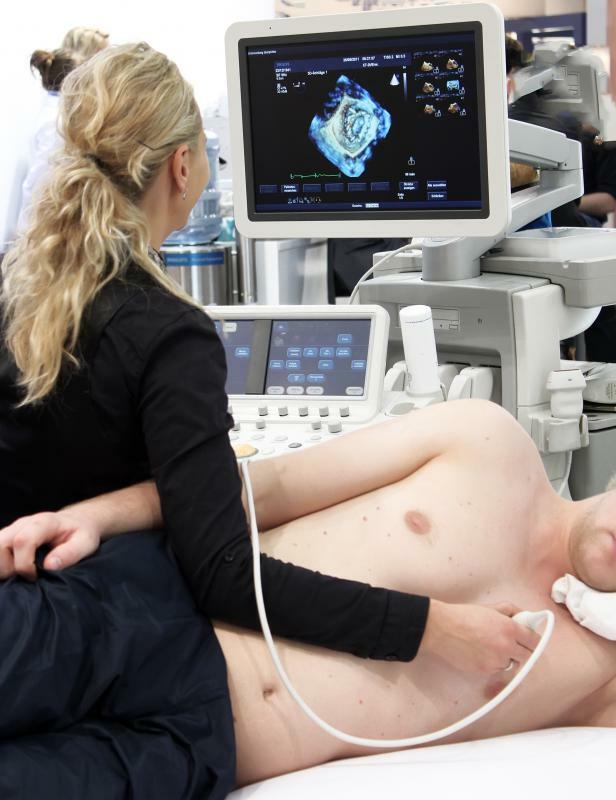 A two-dimensional (2D) echocardiogram is a medical imaging study of the heart that a doctor might recommend to learn more about a heart condition or to follow up on a patient's treatment. In this study, the heart, a three-dimensional organ, is rendered in a two-dimensional picture. There are a number of approaches to echocardiography, and a patient might need several imaging studies to gather as much information possible about the condition of the heart. One type of 2D echocardiogram provides a picture of the heart in the chest, using ultrasound waves to help the doctor determine the exact size, location and shape of the organ. It is possible to get a slice of the inside of the heart by using ultrasound imaging, to look inside the chambers and identify issues such as valve malformations. The doctor also can request an ultrasound with Doppler technology to trace the movement of blood through the chambers of the heart and the neighboring blood vessels. Two-dimensional images tend to be more limited in nature. A skilled technician can get a clear, crisp picture of the heart with the right machinery, but the 2D echocardiogram might not provide as much information as a three-dimensional imaging study. The doctor cannot rotate or manipulate the image to look from a new angle, for example, and thus could miss issues that might be more visible on a different kind of imaging study. When a doctor recommends a 2D echocardiogram, the patient can ask why the doctor thinks the test is advisable and what options are available. The test might be done transthoracically, by pushing an ultrasound transducer against the chest, or transesophageally, with the assistance of a transducer lowered into the trachea. The transesophageal test is more invasive but tends to yield better pictures. This can be important for a 2D echocardiogram when the doctor wants as much data as possible in the flat image. The 2D echocardiogram does not take very long. In some cases, a doctor might be able to discuss the results right away. In others, the doctor needs to review the images before meeting with the patient and might prefer to wait for a chance to thoroughly evaluate the test results rather than speculating on what might be visible in the pictures right after the test. If a doctor does identify an issue, additional testing might help with the diagnostic process, or the doctor could move forward to diagnosis and the recommendation of treatment. What Is a Forward Echo? What Factors Affect the Cost of an Echocardiogram? How Do I Interpret My Echocardiogram Results? What Are the Different Uses for a Bubble Echocardiogram? What are the Different Kinds of Hypertension Tests? @OeKc05 – It doesn't stand for echocardiogram. ECG and EKG are the same thing, and they both stand for electrocardiogram. An echocardiogram takes a picture of the heart, but an electrocardiogram tells the doctor about the heart's electrical issues. Someone with an irregular heartbeat or who believes he or she may have had a heart attack has an electrocardiogram for diagnosis. I was taking part in a clinical trial a few years ago, and I had to have an electrocardiogram several times during the trial. It was quick and painless. The electrodes on me hooked to a machine that printed out my heartbeat in wavy lines on paper. Does ECG stand for echocardiogram, or is it something else? I've heard of both an ECG and an EKG, also. Are those the same thing? @JackWhack – Well, they don't put you completely under. I had a 2D echocardiogram procedure last year, and I was awake but sedated during it. They gave me a sedative intravenously. This just relaxed me a lot. They also made me gargle with something that took the feeling out of my throat, and they sprayed something down there to numb it, too. It was weird having to swallow the tube, but at least it didn't hurt. After it was over, I couldn't eat or drink for a couple of hours, because I didn't have all the feeling back in my throat and trachea yet. I had to have someone drive me home, too. You're not supposed to drive for about twelve hours after having this sedative. Wow, I would much rather have the kind where the transducer is pressed on the outside of the chest. I can't imagine having an ultrasound from the inside! Do they at least put people under anesthesia for this? Swallowing a transducer would be very uncomfortable for a person who is alert.